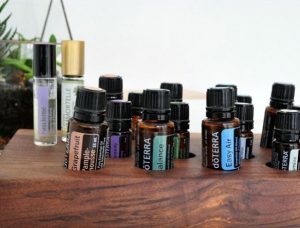 My beloved 889 community, I want to inspire you to incorporate Essential Oils into your lifestyle, routine and daily rituals. In light of us celebrating 10 years on February 14th… (YAY! ), I want to share 10 ways I use essential oils daily, and how you can use them too. Keep the Oils where you use them. For example, keep your lemon Essential Oil by the kitchen sink for your lemon water. This really helps me to always have them accessible. Mix one drop with a little coconut oil, rub on the bottom of your feet (or your kids) to rest, relax and sleep, 3 drops in your diffuser when you sleep, or 3 drops in the bath. Zen. One drop on the temples for headaches, 1 drop on the roof of your mouth (via your thumb) to curb 3pm sugar/caffeine gimme gimme cravings, one drop rubbed on the back of your neck to feel invigorated, inhale one drop in your palms to clear your nose or your head. 1-2 drops in your morning water to cleanse your organs. Can replace lemon water. Lemon Essential Oil includes the benefit of the fruit and the rind. Great for lemon water while traveling. This is a powerful immune boosting oil. One drop in a shot of water 2x per day during the cold season (now). 1-2 drops mixed with coconut oil, rub on the bottoms of your feet. Diffuse at night. This oil is incredible for immune support and protection. Perfect when you need a boost of happiness. Great for adrenal fatigue. Dab one drop on wrist pulse points. Diffuse. It’s the On Guard blend for your teeth. Kills germs. All natural. Essential Oils going into your gums and teeth. Amazing on your nutty kids: diffuse or rub on the bottoms of their feet. Settles unsettled children. I love to diffuse this. I use it when I’m down and out or sad. It’s unreal. Roll this on your abdomen during your moon cycle to support your mood (even the crazies) and pain. I use this in place of strong painkillers. 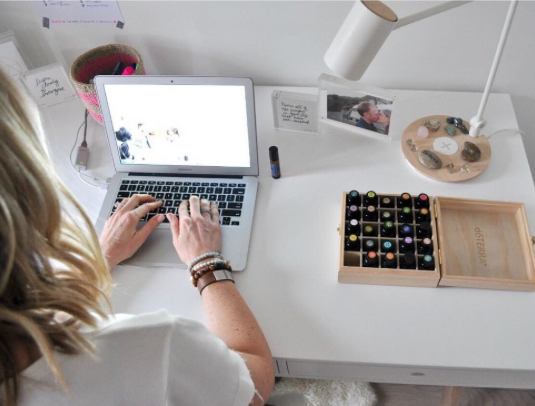 There are hundreds of ways to use Oils for your daily rituals. 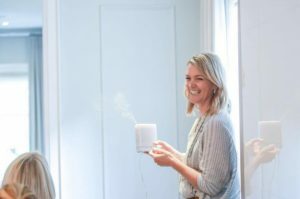 I hope that this blog inspires you to use them more often and helps you to build your own daily rituals, and get results!